Savannah State University (SSU) announced plans to lay off 26 non-tenured faculty members due to budget cuts tied to declining student enrollment and state-allocated funding. The affected faculty members will stay on through the 2018-19 academic year and will not have their contracts renewed for the 2019-20 year. Individuals will receive transition assistance and be eligible to apply for future opportunities at SSU or other institutions within the University System of Georgia (USG). 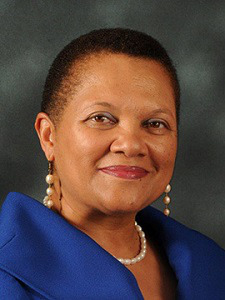 “While we have taken some interim measures to address the loss of revenue, such as eliminating vacant positions and placing restrictions on new hires, these are not sustainable options given the budgetary circumstances,” said SSU president Dr. Cheryl D. Dozier in a letter to faculty and staff. SSU is the oldest public historically Black college or university (HBCU) in Georgia. In the last two years, the university saw a 10.6 percent enrollment decline in fall 2017 and a 7.9 percent decline in fall 2018, according to news reports. Dozier foretold, in her letter, that SSU would cut the number of university personnel to address the decrease in state funding influenced by the aforementioned enrollment numbers. “All SSU faculty and staff are deeply valued and we appreciate their dedicated service to SSU,” Dozier said. Dr. Jenni Halpin, associate professor of English at SSU and vice chair of the Faculty Senate, declined to speak on behalf of her colleagues due to the sensitive nature of the issue. Prior to last week’s announcement of the layoffs, faculty had been involved in conversations about the university’s “financial circumstances and the relation of these circumstances to our employment numbers in last month’s general faculty meeting,” she said by email. At that meeting, Halpin said, Dr. Martha Venn, USG’s deputy vice chancellor for academic affairs, offered a “sense of the measurements” by which the Board of Regents would like SSU’s outcomes to change, such as around increasing retention rates. A university spokesperson said that of the 26 faculty members to be let go, 18 are from the College of Liberal Arts and Social Sciences, four are from the College of Sciences and Technology and another four are from the College of Business Administration. Officials note that a Strategic Alignment of Resources planning committee is in place to “guide the ongoing process of aligning university resources to match strategic institutional priorities” around student success, student recruitment and retention, campus safety/security and increased institutional efficiency. Faculty members who have been notified of their dismissal will receive transition assistance from the SSU Human Resources Office, including access to the USG applicant clearinghouse. They will also have direct contact with other system institutions and be able to apply for any open positions that become available at SSU. Going forward, university officials said faculty reductions will be coordinated across the university to ensure the success and support of SSU students. “It is my hope that this will be a topic of discussion and strategic planning at faculty senate meetings,” Halpin added on the university’s financial challenges.